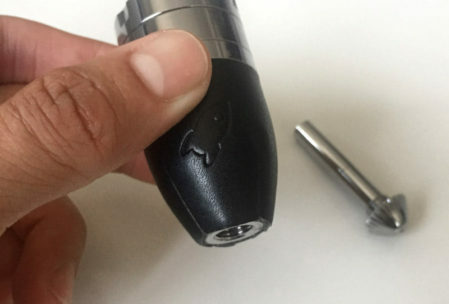 If you’re into smoking flower or own a loose-leaf vaporizer, you’ll find the Rocket Grinder to be a handy little companion. The Rocket is a tiny, multi-functional tool that’s packed with many useful features. It’s small enough to fit on your key ring. The Rocket is constructed of sturdy materials built to last. The body of the gadget is stainless steel, wrapped with a strip of leather and embossed with the Rocket logo. 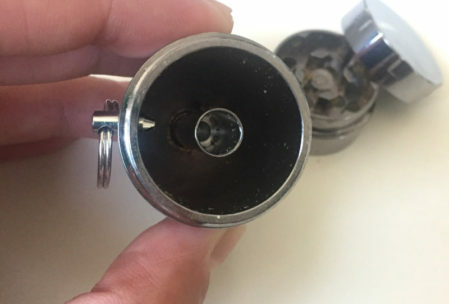 Remove the magnetic lid to reveal the tiny dry herb grinder. The ground up herb falls below into a storage compartment that holds a sizable amount of loose-leaf material. 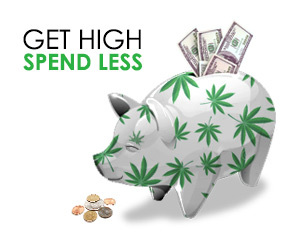 Unscrew the bottom tip of the Rocket, which then slides out and is used as a one-hitter pipe. With the pipe removed, the storage compartment then functions as a convenient funnel to easily dispense your loose-leaf. 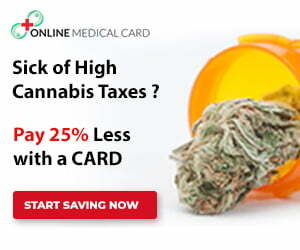 This is so useful for filling up your dry herb vapes, packing bowls, and layering papers for rolling. 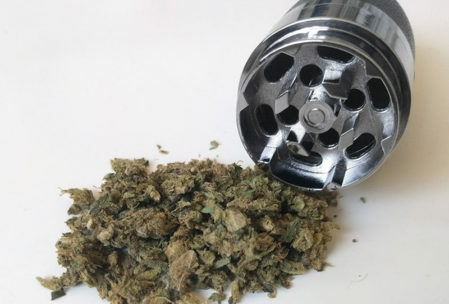 We review a lot of dry herb vapes so we always keep a grinder handy. 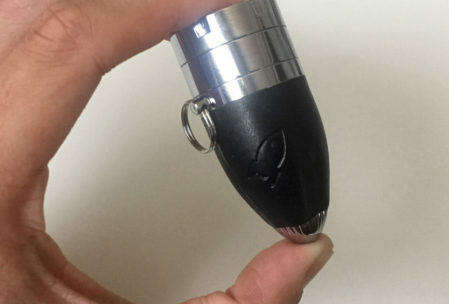 The Rocket Grinder is fixed with a metal loop to attach to your keychain ring, but it seems a bit too heavy and bulky for that. But, it does fit easily into your pocket and is stored away in a small carrying case (check out these RYOT protective cases). 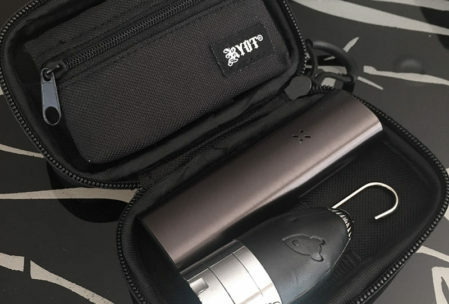 We used the Rocket’s mini grinder for shredding up some herbs while doing our PAX 2 dry herb vaporizer review. The grinder’s teeth and size of the holes at the base of the grinder make for a coarse grind. This grind consistency works well for most loose-leaf vapes and also for rolling up some papers. The Rocket keychain is available for $39.99 directly through Apollo, the makers of the awesome AirVape X dry herb vaporizer. 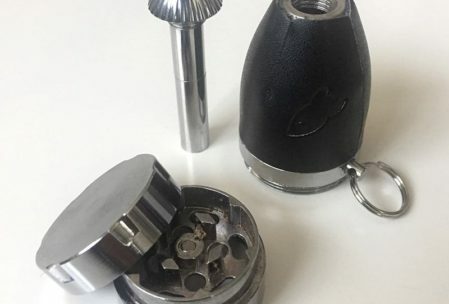 You can also find the Rocket Grinder through VaporNation, one of the largest online retailers of quality vaporizers, weed grinders, and other vape accessories.